A Duvet Cover is just that, a cover for a duvet or down comforter. It is what a pillow case is to a pillow. 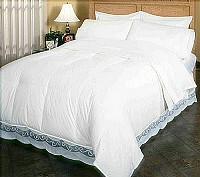 A duvet cover protects a duvet and any other bedding article from getting soiled by natural body oils or dirt. A stylish duvet cover will enrich your bedroom's décor. In the United States the term duvet can mean a comforter with a cover sleeve but for all intents and purposes we will speak of them as separate bedding articles. A duvet cover set is a practical and useful bedding accessory. If you own a duvet it's essential that you protect it with a cover. Without the cover the duvet - also known as a down comforter - can quickly accumulate natural body oils, dirt, stains and odors as well as other contaminants and pollutants; and if left unchecked, can lead to developing allergy related symptoms. It is also easier and less expensive to wash a duvet cover than to wash a down comforter or have it dried cleaned. The cover will easily fit into a regular washing machine as opposed to a bulky down comforter. Another good reason for encasing the duvet with a cover, its that in the course of time many people become allergic to their down comforter or rather the small contaminating particles that have infiltrated the comforter (through the small openings in the fabric shell) and attach and accumulate on the down (the small fluffy feathers usually of eider duck or white goose), so adding a duvet cover simply makes good sense. Now, most of this might make it seem like owning a down comforter is a bad thing but it's not so; for the level of sleep comfort it provides, far outweighs anything negative. For at one time the duvet was also known as a "comfortable" and is now known as a "down comforter". So you can think of a duvet and its stylish cover as good restful night sleep and a pleasant good morning. The duvet cover as its name suggest does not necessarily need to be use as a cover sleeve for a duvet or a down alternative comforter only. 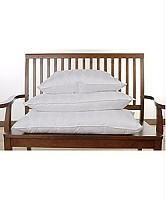 It can be use with other bedding articles such as a thicker blanket, multiple thinner blankets and other comforter types. Not to mention by itself as a light blanket. A heavy quilt will also do fine inside a duvet cover. Also, depending on the time of the year, it can combined with other bedding articles to achieve the level of warmth and comfort desired. In the colder months combining a comforter and a blanket together could be enough, in the warmer months a couple of thinner blankets will do just fine or even the cover alone can be sufficient. A duvet cover also makes it easier to do your bed in the morning as you won't have many individual pieces to fold or spread over the bed. Other pieces that come with the duvet cover set like the matching pillowcases and or pillow shams will not only add charm to the bedroom's decor but will also provide a barrier between you and your down pillows or other sleeping surfaces for the same reasons previously mentioned in relation to down comforters. There are a few things to keep in mind when buy a duvet cover set. For starters the correct size is very important as duvet covers like other bedding sheets come in the same bedding sizes: Twin, Full, Full-Queen, Queen and King. Something else to keep in mind is the type of fabric that best suits your needs (fabric textures vary even among the same fabric materials), many types are available. For duvet covers cotton is the most popular as it one of the easiest to maintain and great looking designs can be printed on. Great bedding starts with quality materials. Our fine bedding accessories are fairly priced when compared to others similar items with respect to the quality of the fabrics and its designs. At Pacific Star Products we offer free shipping on all of our duvet covers and home decor products for orders within the continental U.S.. We also ship worldwide. Please feel free to shop or browse our store and compare. 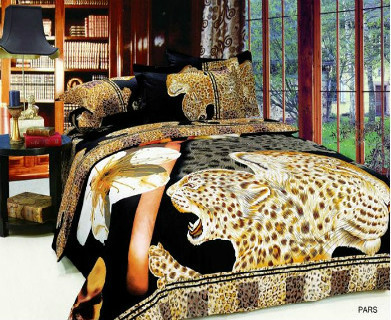 Shop here for the best duvet cover sets with the highest quality prints of flowers, exotic animal and city images in seductive natural and fantasy type settings. Like our very popular Louvre Paris reminiscent of the liveliness and peacefulness of Paris's most famous musuem or our Eiffel Tower Duvet Cover Set featuring Images of the Eiffel Towerseen from its nearby park. Another favorite print is our Ghepardo Set, Featuring a Big Wild Cat that is both wild and exotic. 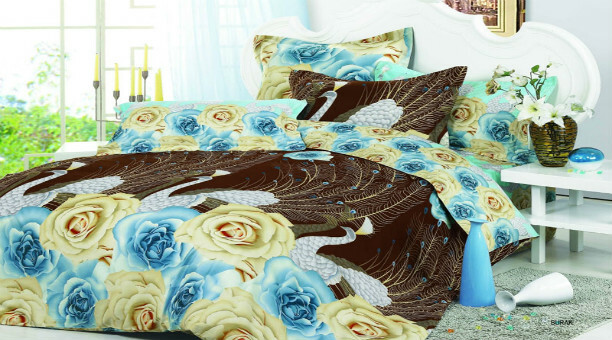 The distinct vibrant and colorful Prints of Flowers on these Duvet Cover Sets will create a harmonious, peaceful and relaxant ambience or the sense of passion and of romance in the look and feel of your bedroom. Also shop for super Luxurious Down Comforters with high fill power or for allergy sufferers try the Down Alternative Comforters. Most Down Comforters and Down Alternative Comforters feature baffle box design construction to prevent the filling from shifting and a side gusset to distribute the warmth evenly throughout the comforter. A comforter wont just keep you warm and comfortable at night but it also adds a feeling of luxury and a sense of satisfaction to a tired body. High quality pillows and bed sheet sets at affordable prices, shop our Pillows and Bed Sheet Categories. Find down or down alternative pillows like our "Eurofeather Pillows" and high thread count Egyptian Cotton Bed Sheet Sets. 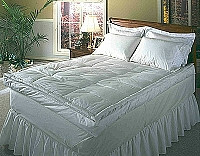 These super lightweight Technodown Quilted Comforters are so fluffy soft resembling Goose Down. 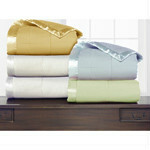 These Comforters are made with the worlds thinnest Technodown fibers, measuring at 0.5 deniers. They are excellent for allergy sufferers and for anyone in need of great sleep. These comforters also make a great inserts for most of our duvet covers and are available in Twin, Full/Queen, Queen and King. are very colorful and a favorite of many. The fun and colorful designs of these comforter sets will bring warmth, comfort and joy into children's rooms. 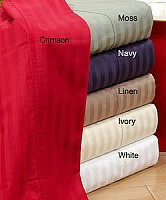 Veratex comforters and items are quality made. They now what kids like and know how to please them. Add one of these comforters to your kids bedroom and brighten up his day or night. by Veratex. Beautiful and durable comforters. Veratex has become synonymous with quality bedding and elegant home decor. Stylish comforter sets are some of their specialties. Making quality items with quality materials through and through has gained them recognition and has placed them at the top of their game when it comes to home decor products. Cover the space between your box springs and the floor with a great quality bedskirt in Gingham, Satin and Solid Colored Poly/Cotton Blend fabrics. Choose from all sizes, several colors and many drop lengths for a special customized look. 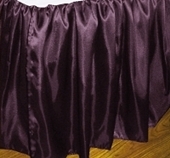 These ruffled and tailored bedskirts coordinate very well with our other items that come in the same colors and fabrics that beautifully ties a home decoration theme together. What's more fun or precious than seeing your name or recognizable phrase in big bold letters flowing across your favorite wall. How reassured your little ones will feel knowing who they are and where they belong. These LUV Letters are repositionable and can be move from one place to the next without peeling or damaging surfaces. 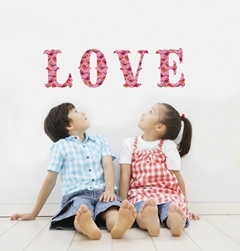 Let your kids imagination soar by arranging and rearranging these wall decals in so many ways. Your kids will simply enjoy these fabulous wall decals every time they see the design combinations they've created. So, why not encourage their imagination to come up with new designs or simple ways to liven up their rooms or favorite spaces. Among the best gifts a child can receive, are the ones that can open up their creativity and help them build lifelong understanding. Help your kids express their thoughts, their dreams, their knowledge. Allowing them to grow and mature with wise hearts and sound minds. Having these writable personal chalkboards or whiteboards on any wall or flat surface will invite them to share their feelings or even to bring out their hidden art talents with drawings. It's also a great way to leave yourself a note as a reminder or a message to a love one. Fine bedding makes for a perfect gift. For that special occasion be it a wedding, a birthday or as thank you gift. Our bedding collections are sure to please. Plus with great packaging and the convenience of a gift carrying bag you will certainly look smart and thoughtful.